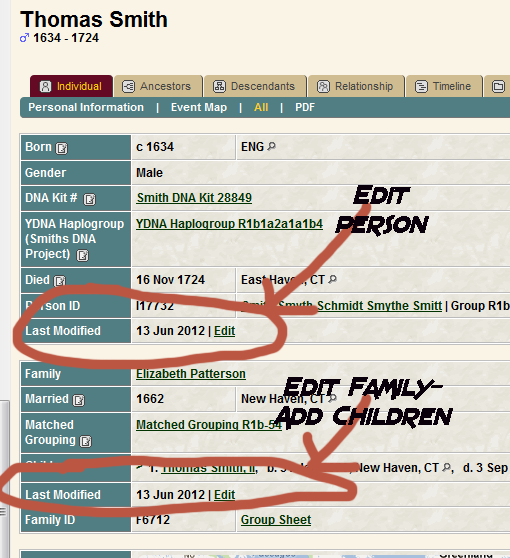 How do I add children or change the birth order? First, of course, you need to be logged on. You need to have a family before you can add children. When you registered for the site, you sent in your direct Smith line, so the families in that line should already be listed in TNG. 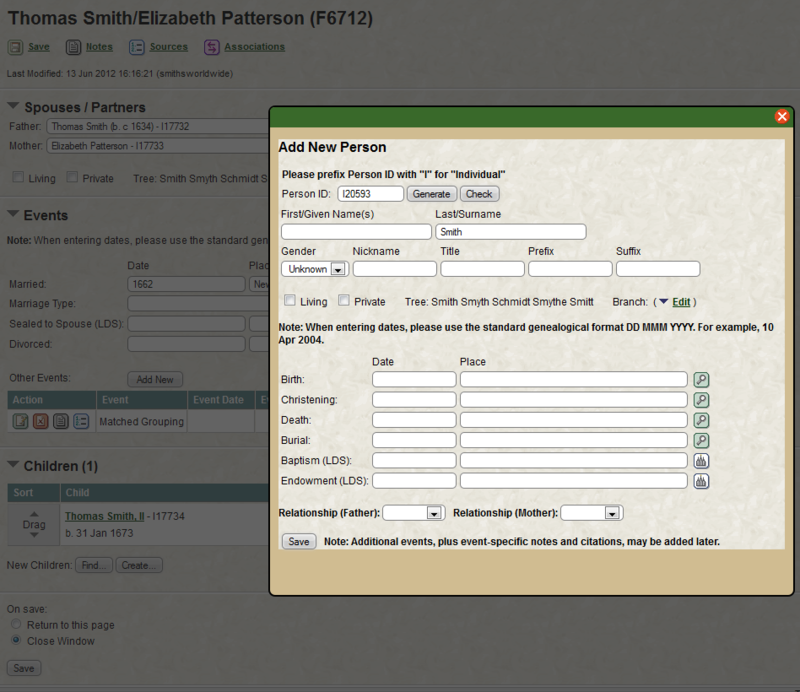 If you don’t have a mother or father’s name for the family, you can make a dummy spouse by simply clicking CREATE and then save. 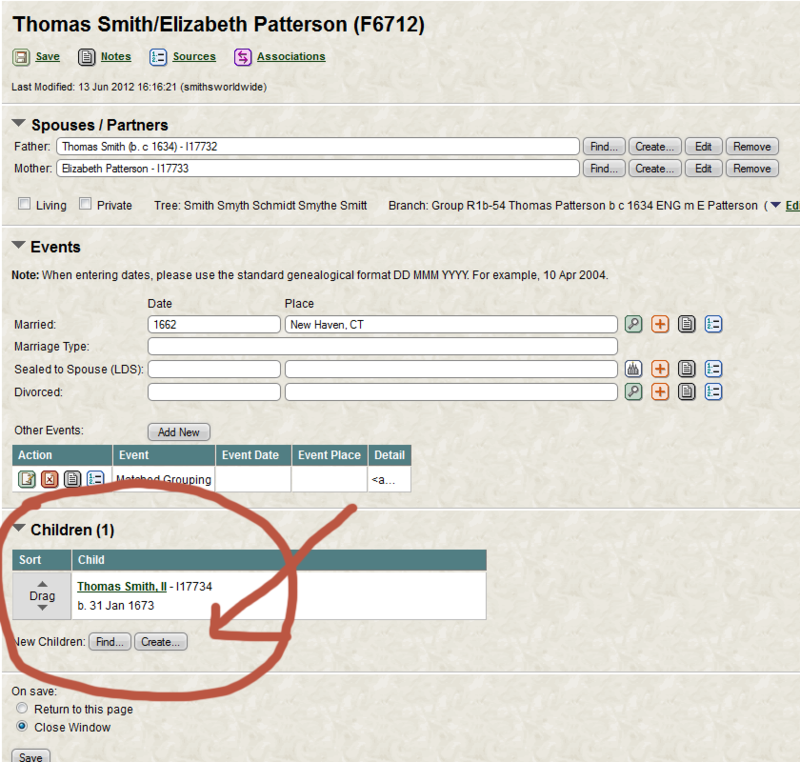 Once you do that, you will see, on the family page, where you can add a child. If there is already at least one child, you’ll see where you can add additional children. To the left of the child is a DRAG button that lets you drag children up or down if, say, the first one is the list was not the first born. Then, make sure you save your changes.